Guardian™ Sensor 3, our most advanced sensor, provides an option that fits every lifestyle. For ages 2 and up. 80% volume reduction compared to EnliteTM sensor. Updated sensor adhesive patch to enhance application and reduce irritation. Medtronic’s (real-time) continuous glucose monitoring (CGM) products are indicated for use by people living with type one diabetes. Guardian™ Sensor 3 may be used as part of the Guardian™ Connect and MiniMed® 640G systems for ages 2 and up. Sensor is indicated for use on arm and abdomen. Guardian™ Sensor 3 may also be used as part of the MiniMed® 670G system for people living with type 1 diabetes age 7 and up. Sensor is indicated for use on abdomen only. Sage^ is a professional athlete who is striving to represent the USA at the 2020 Olympics. 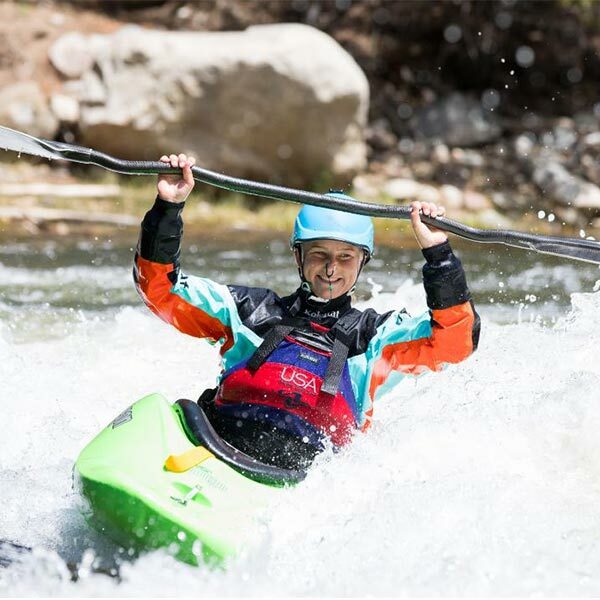 Sage is constantly traveling around the world competing in two specific water sports: kayaking and canoeing.†† With Sage’s hectic work, travel, and competition schedule, it is critical that she uses a continuous glucose monitor that helps her stay in range. Sage transitioned to the Guardian™ Sensor 3 earlier this year and has been amazed by the experience and results. Guardian™ Sensor 3 can be worn on the abdomen‡. Choose an insertion site that has an adequate amount of subcutaneous fat. If you are experiencing a problem with your Guardian™ Sensor 3, please contact the 24-hour helpline at 1800 777 808. What is the difference between EnliteTM sensor and Guardian™ Sensor 3? glucose levels. Under these circumstances, check the Sensor glucose readings by conducting a fingerstick test using a blood glucose meter. experiencing symptoms that are not consistent with your glucose readings, consult your health care professional.